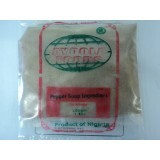 Something simple as stock powder direct from Africa can make all the difference to your favourite dish. Gives fantastic flavour to Soups, Sauces and marinades. Once tasted it, you won't want to use anythi.. Direct from Nigeria. Bitter Leaf is derived from the leaves of a small ever-green shrub found all.. Direct from Nigeria. This popular African vegetable is rich in dietary fibers, vitamin A, fat,.. Direct from Nigeria. Scent Leaf has a strong aroma and is used to flavor soup and spice meat, .. Direct from Nigeria. Uda is a pungent and aromatic spice often used in Pepper soup. Originally.. 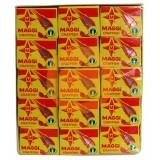 Direct from Nigeria. 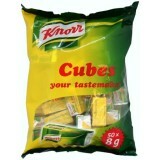 Other names for Uziza include West African pepper, Ashanti Pepper, Benin ..
Knorr is an all purpose seasoning condiment used in adding delicious flavors to meat, fish, veg..
Maggi cubes are a popular stock seasoning used in adding delicious flavours to meat, fish, vegetable..